Alsace is the eastern part of France and it is located on the border of Germany and the Lorraine French region, between the Vosges Mountains and the Rhine. It is the smallest and I would say the cutest and the prettiest especially during the Christmas season region of France. Alsace is divided into two French ‘departments’ The Bas-Rhin on the North and the Haut-Rhin on the South. Each of them offers you a lot of things to do and see. 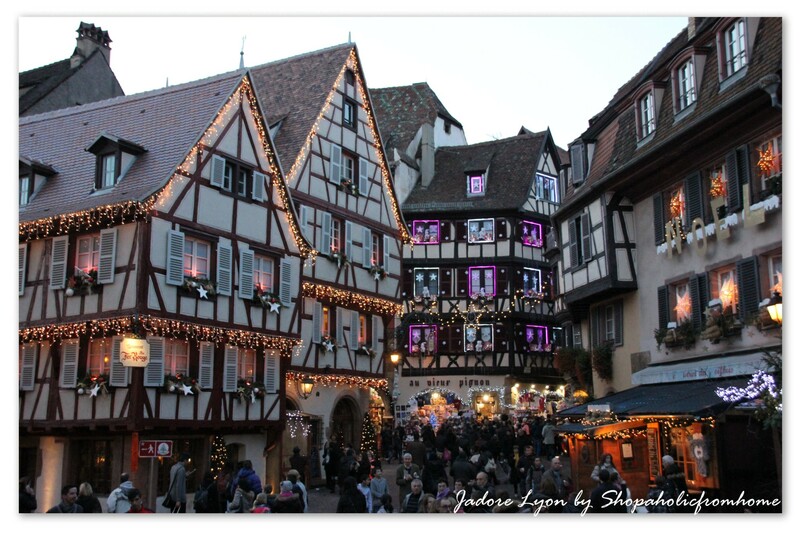 On the North you have the famous Strasbourg which has to be visited and on the south, there are such beautiful places like Colmar, Mulhouse, Hunawihr, Riquewihr and Ungersheim which you cannot omit when visiting France. 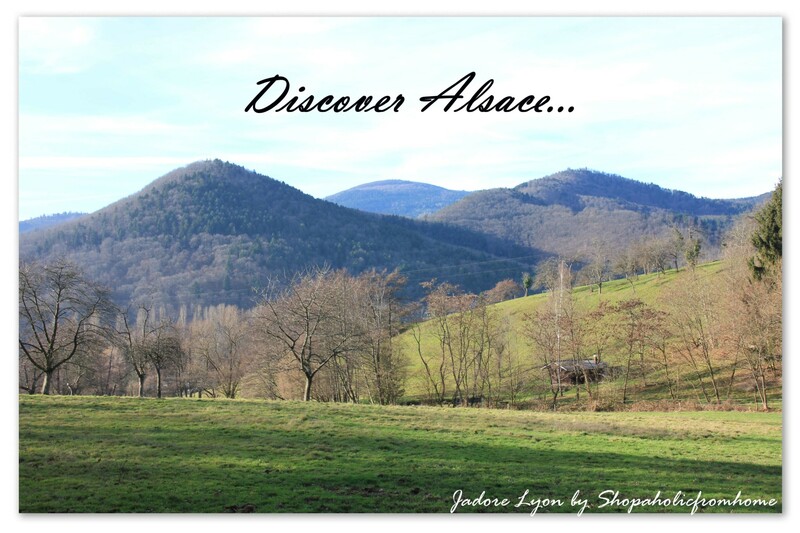 So now, let me tell you a little bit more about those beautiful gems of Alsace, shall I? Colmar offers you its canals, flowery and an impressive city centre, many museums, historical buildings and colourful medieval houses. It is an Alsatian wine capital, the birthplace of the famous sculptor Barthold and a place which brings you the best gourmet experiences you can wish for. You will eat well in the Winstubs – taverns with low ceilings and decorated with local everyday objects .You will enter the casual and warm atmosphere to taste such specialities as tartes flambées, fleischschnackas, backeoffe, bouchée à la reine (chicken vol-au-vent), choucroute, palette fumée (smoked shoulder of pork), spaetzle (Alsacian noodles). 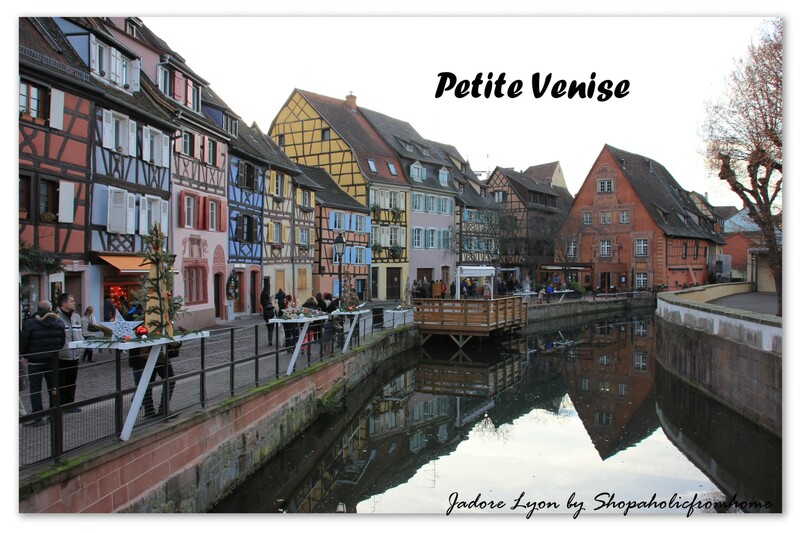 But this is not all… what really will take your breath away is the “Petite Venise’ and the Colmar Christmas market which seems to be the brightest of all! And as you explore the market, its different rows, wooden huts, the stalls, decorations and lights, you will spend the pre- festive time and you will have a chance to do the latest Christmas shopping. And don’t forget to look for a mechanical Nativity scene and a merry-go-round with wooden horses as well as a giant letterbox for letters addressed to Father Christmas. Those are things that need to be seen! 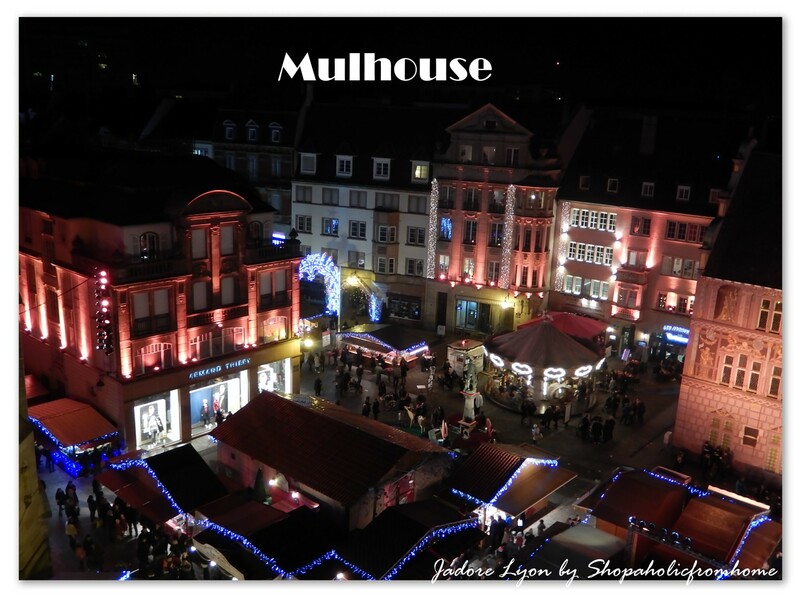 Mulhouse is located very close to Germany and Switzerland. It has a very rich heritage which represents the town’s history and its inventiveness and diversity. It shows how the small medieval city became a major city today. It happened especially thanks to the textile industry which become the proud of Alsace and which offers the best festive attire for Christmas each year and makes its market the most colourful! But coming back to the city’s history, try to look for Place de la Réunion and the Town Hall in the Rhineland Renaissance style, with its painted frescoes. They will tell you well the Mulhouse history. And the market…can you believe that it has about 100 typical Christmas huts? 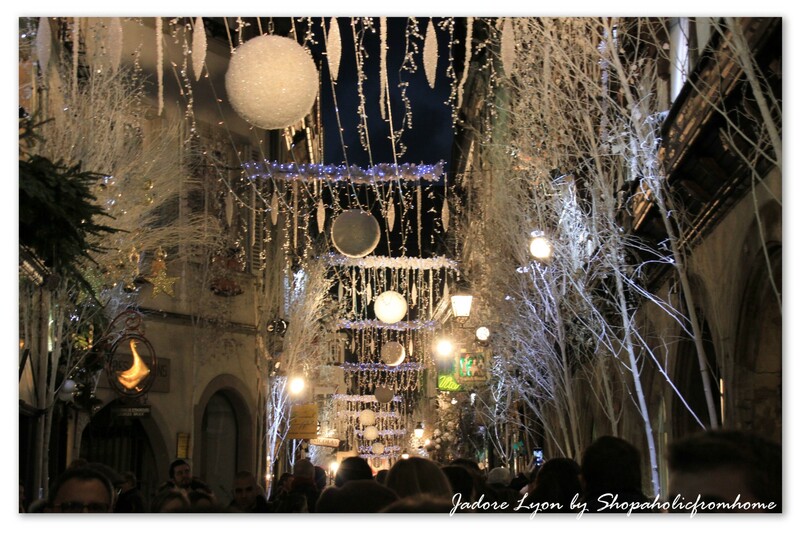 Located near the church of Saint-Etienne, it offers friendly atmosphere, Christmas decorations, lights and good & warm food. You will have a chance to try many local culinary specialities especially foie gras, gingerbread, Bredeles and the traditional cake – the kougelhopf which is ideal for a breakfast, tea time or with an aperitif. On top of that the city of Mulhouse will amaze you by the number of museums it has, including the Musée de l’Impression sur Etoffes; its technical museums which are renowned abroad and the Automobile Museum which is one of the most exciting museums in the world. 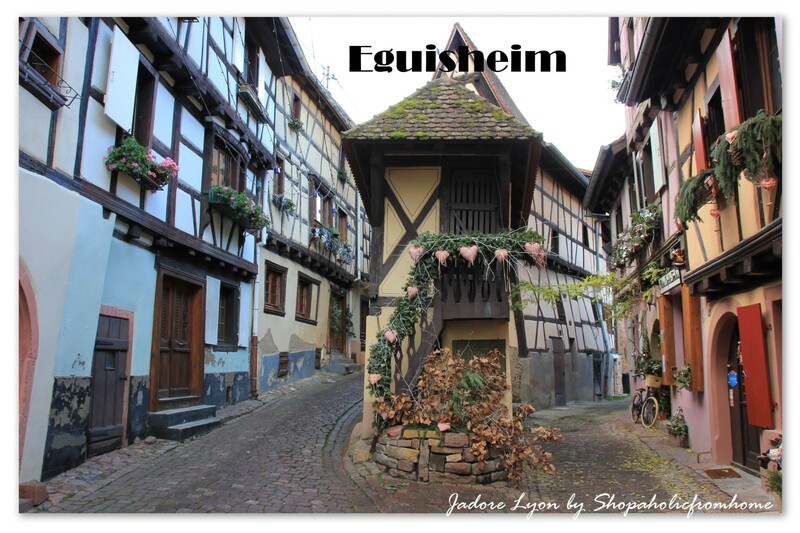 Eguisheim – is actually the most beautiful Village of France and the one which won The Beauty Contest in 2013 and got the title of “Favourite Village of the French”. It is a lovely medieval town where you will be able to admire its half-timbered houses, narrow streets, local decorations which during winter represent the Christmas spirit and during spring and summer are dedicated to flowers. As flowers are very important for inhabitants of Eguisheim and it has been proved by the “4-flower” rating of France’s National Floral Award that the town has been awarded since 1985. Moving on and strolling through the small streets of the city, you will be able to admire the broad spectrum of its coloured houses, unique crèches located by each of the house and the historic fountains. 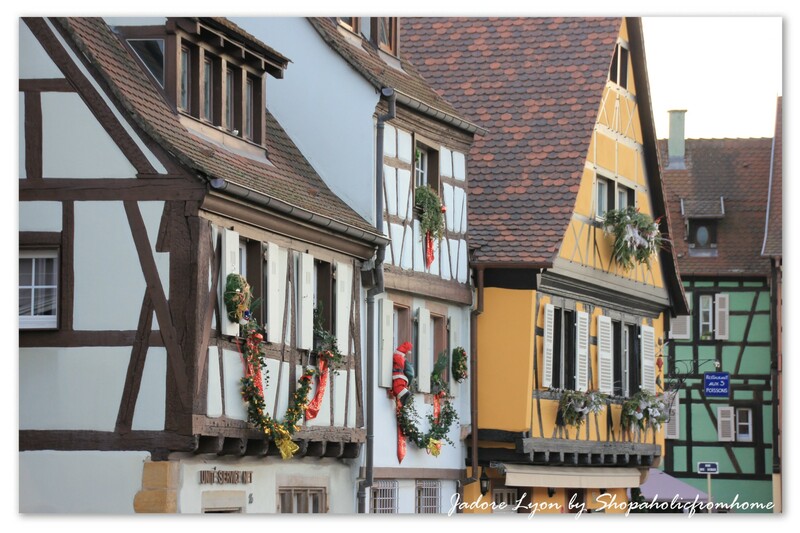 You will find a yellow sandstone church with a 13th century “Opening Virgin” statue worth having a look at and the Christmas Market that Eguisheim offers you as the most traditional of all in Alsace. You will find there local products and the craft specialities. 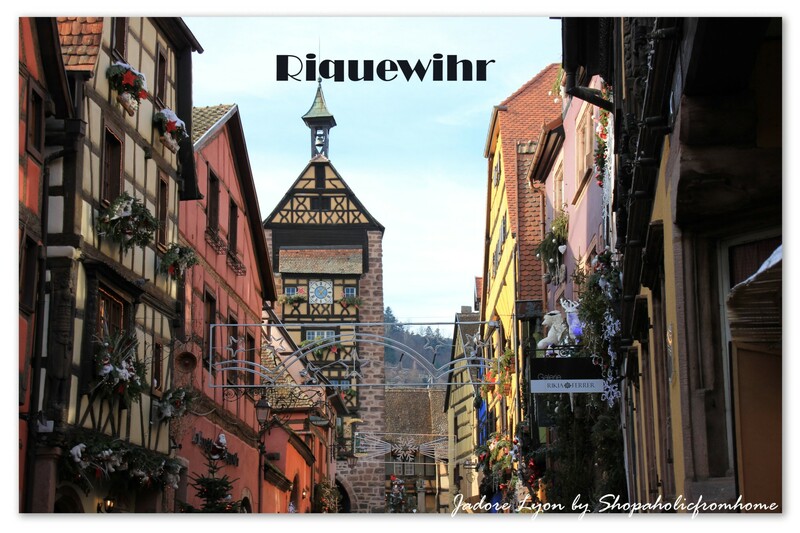 Other places which I can recommend to visit in Alsace are Hunawihr and Ungersheim . And of course you cannot omit Strasbourg which is the real highlight of Alsace and the European Capital. But I am going to write about it much more! So as I promised I kept it really ‘sweet and short’, didn’t it? Because you can write about Alsace a lot and I will carry on. I loved it there. I was totally overwhelmed by the unique atmosphere, colourful Christmas markets, delicious food, landscapes and welcoming people! It is cheerful, happy, colourful region offering you generosity and good humour and the area which you have to visit and experience. Or maybe you have already been there? Can you then let me know what did you like the most about it? Thanks! Very interesting and informative. Alsace is a region definitely worth visiting.